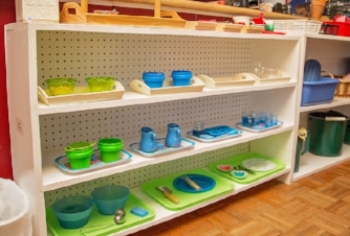 The Practical Life area is perhaps the most interesting and unique aspect of the Montessori environment. 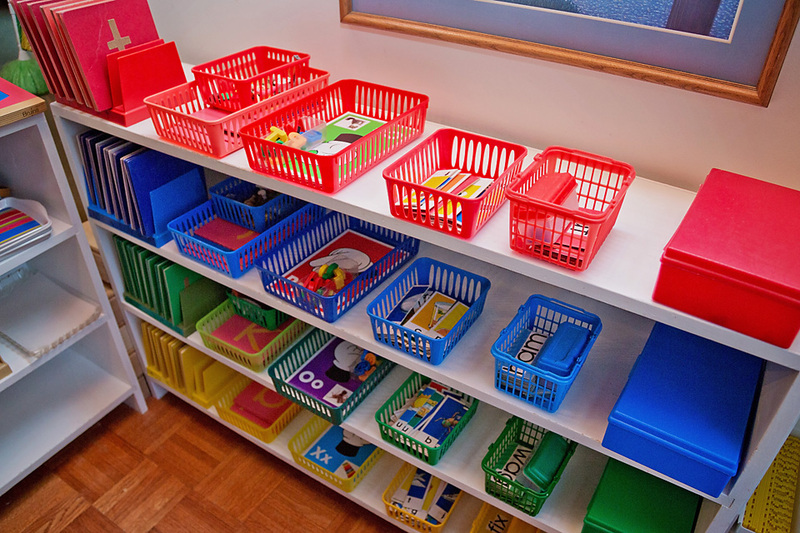 It is this area that gives the child an opportunity to learn and develop skills for everyday living, while also developing concentration, independence, problem-solving skills and self-confidence. Practical Life includes physical skills activities such as the use of various tools and utensils, as well as lessons in self-care, care of the environment, and grace and courtesy. 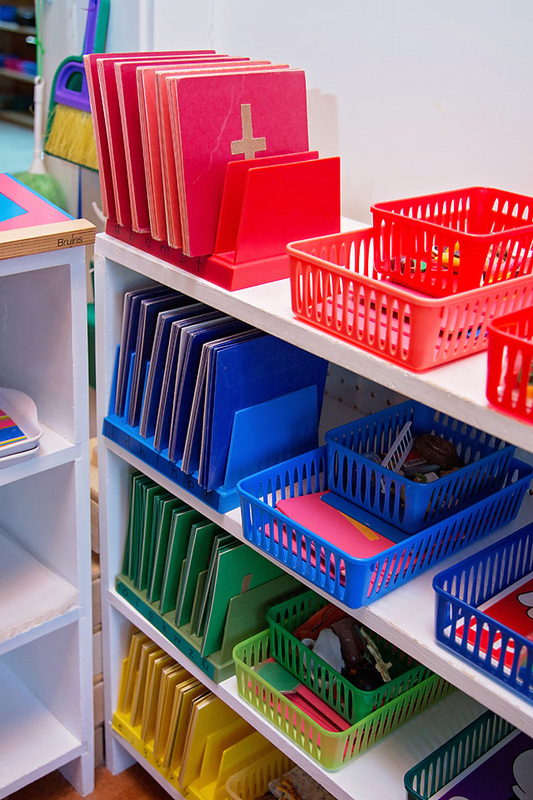 Left to right orientation and control of the fine muscles are both achieved through the manipulation of Practical Life materials, and are of great importance when the child is ready to begin reading and writing. 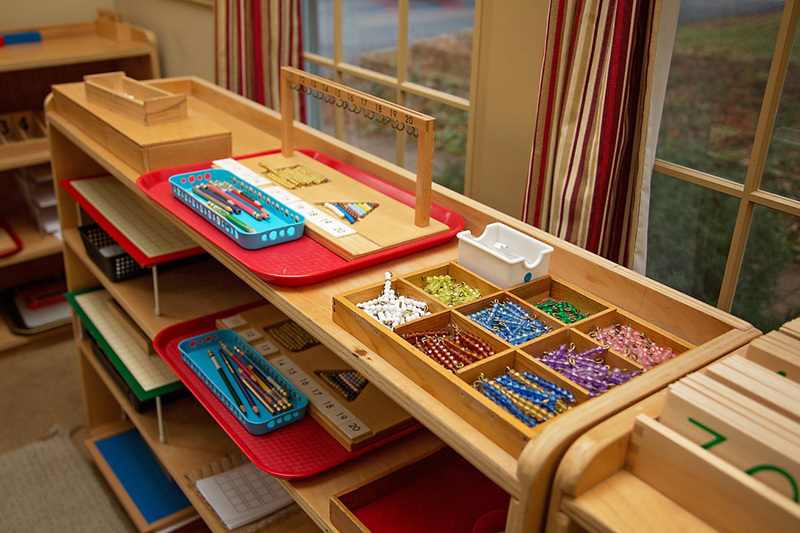 The Montessori sensorial materials provide opportunities for the child to discriminate, refine, classify and label his environment, thus leading him to a greater capacity for learning and a sense of mental order. 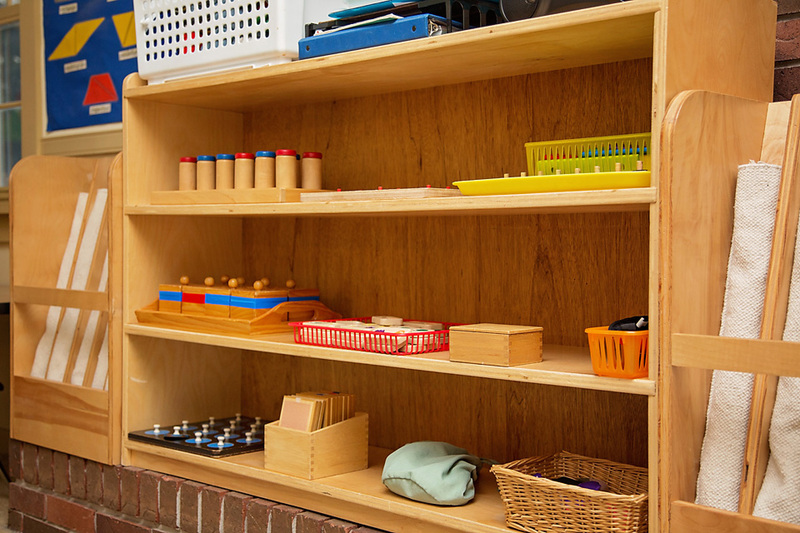 In our Sensorial area, we have Montessori materials which are specifically designed for the refinement of the visual, auditory, tactile and olfactory senses. 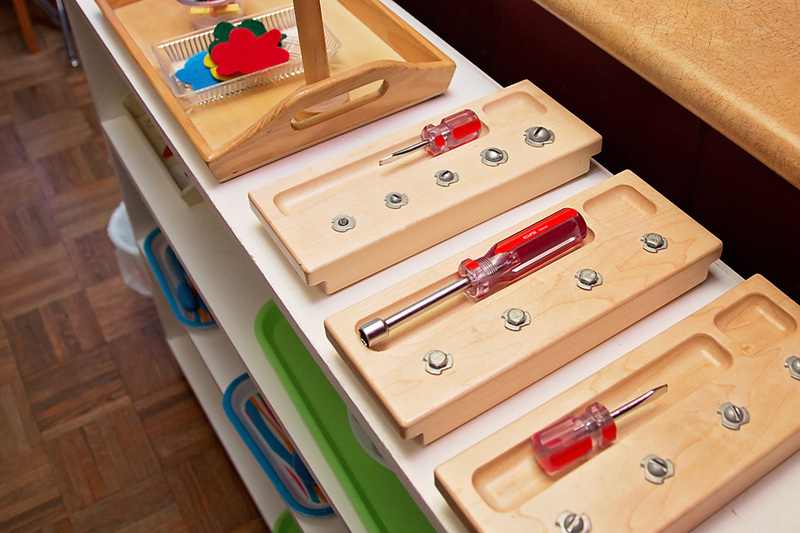 Maria Montessori understood that a child's senses are his tools for learning and growth. The knowledge acquired sensorially by a young child is not memorized, but internalized, and is actually a part of that child for the rest of his life. 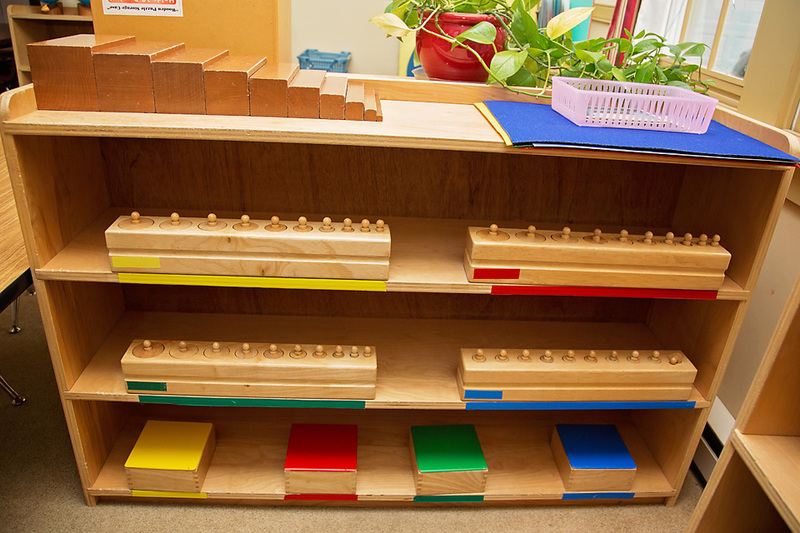 The natural development of language in a child is greatly enhanced by time spent in a Montessori classroom. 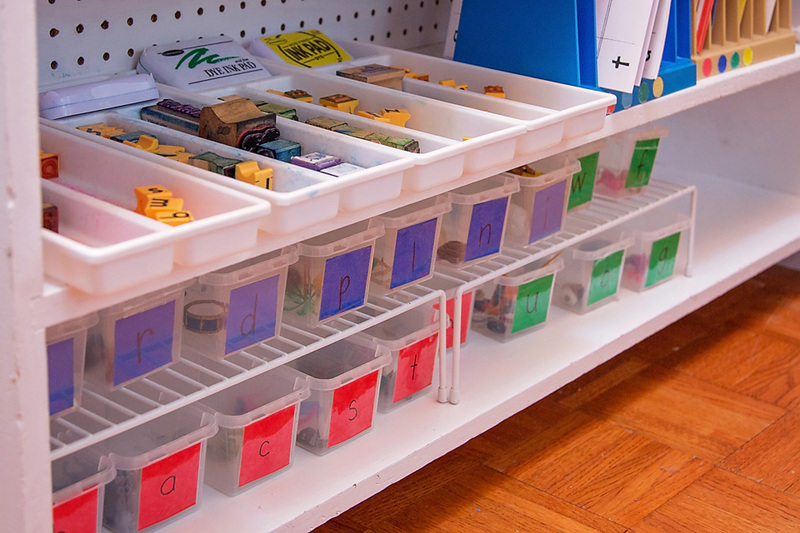 The environment is structured to meet the needs of the speaking, non-speaking, reading, and non-reading child and the sequence of carefully structured language exercises allows the child to advance systematically. 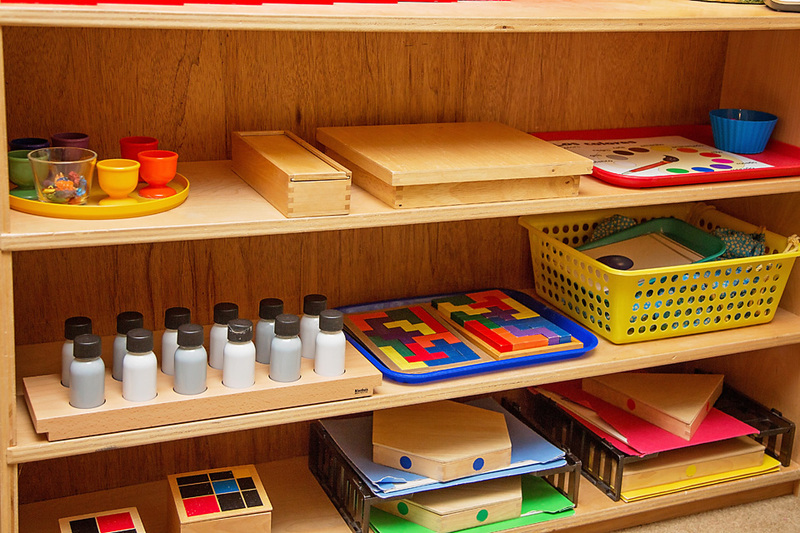 Language development is enhanced indirectly through work in all areas of the classroom. 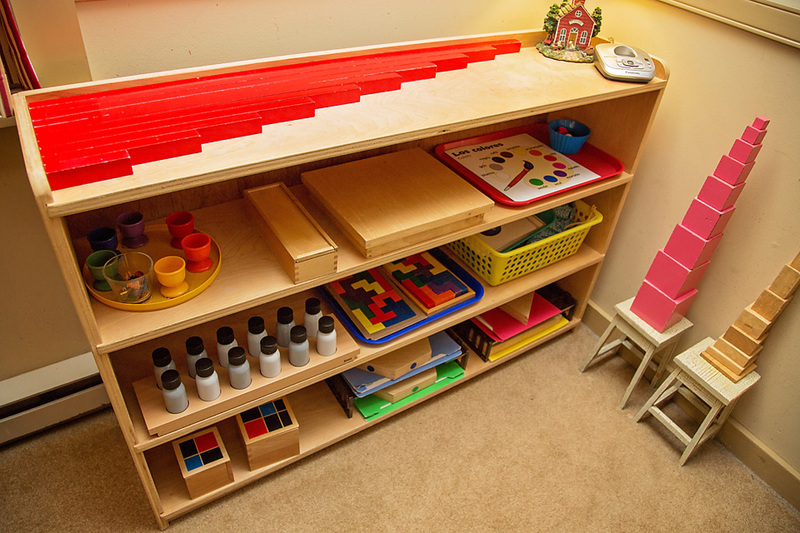 The sensorial area allows the children to develop the visual sense (pink tower, red rods, etc. ), the auditory sense (sound cylinders, musical bells), and the tactile sense (touch tablets), which are all required for reading. 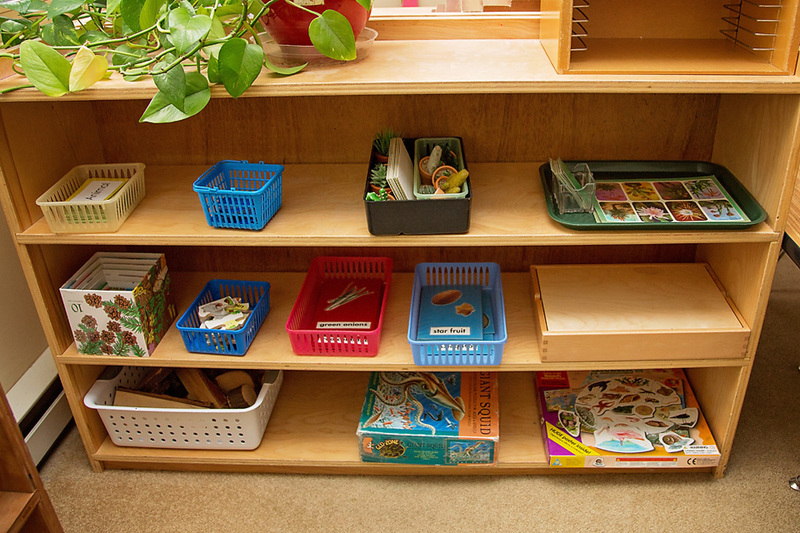 Left to right, top to bottom sequence of materials on shelves and left to right placement of materials on rugs helps prepare the eyes for reading. Through the use of hands-on materials such as sandpaper letters and the movable alphabet, children are able to learn phonetics and sight reading by using a combination of the senses. Math, science, and geography are excellent sources of vocabulary and they allow the reading and writing child to put his skills to work. 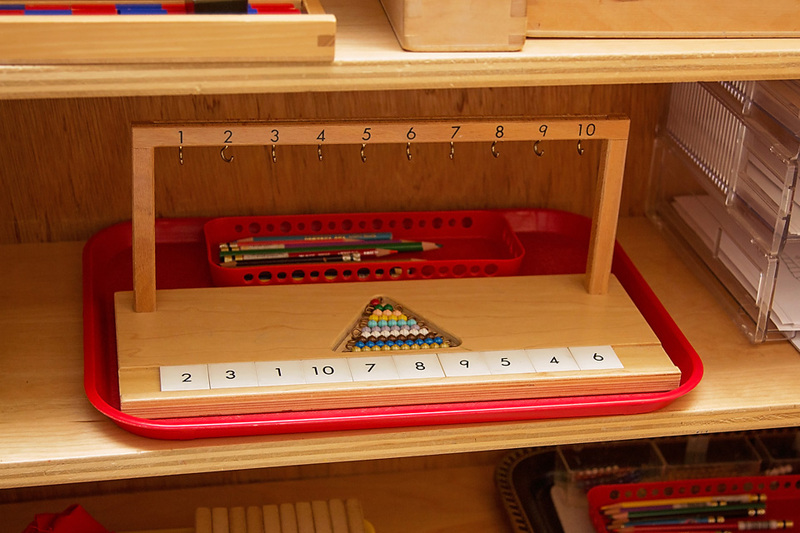 Math in Montessori is all about exploring with the senses. 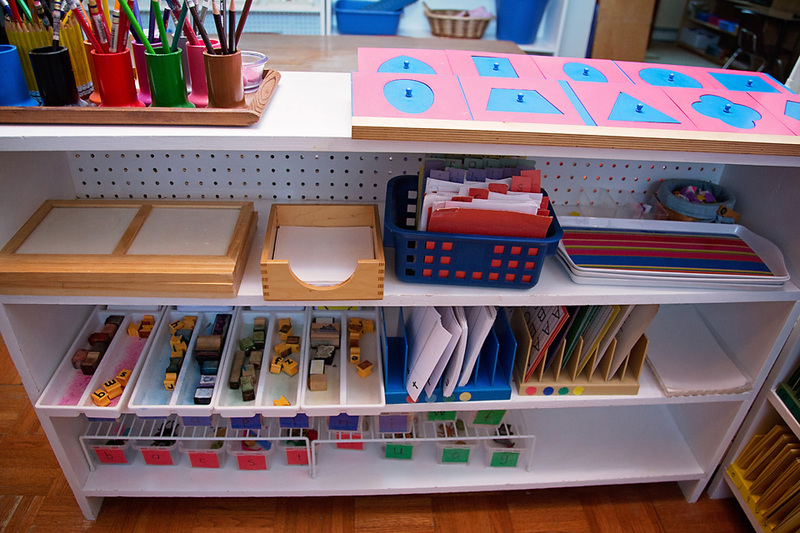 Children learn through exploring with their hands, manipulating materials, and using their senses to take in information. 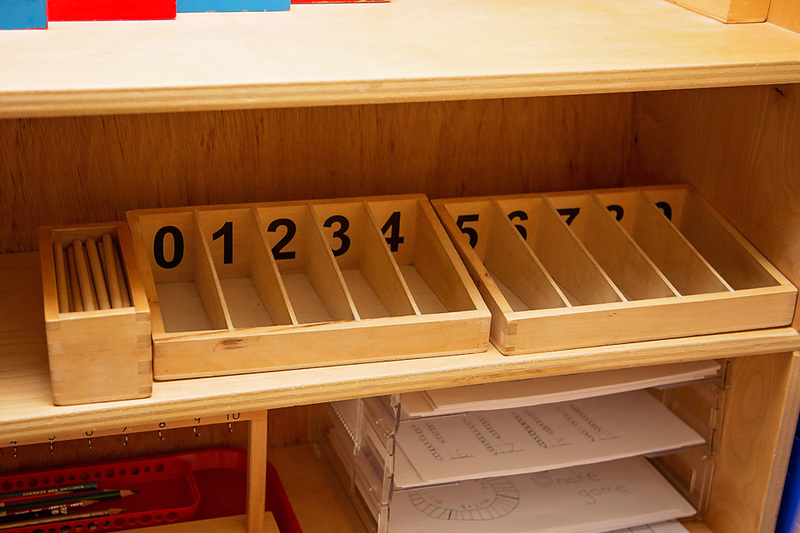 While math in itself is an abstract concept, in our Montessori classroom the math sequence begins concretely and gradually advances to more abstract and complex activities. Through the use of hands-on concrete materials which are introduced sequentially, younger children are able to develop an understanding of numerals and quantities, the four basic operations, linear counting, squaring and even fractions during a period of their lives when the information can readily be absorbed and understood.